Take one step into Chard’s new digs above Western Road’s Igigi General Store, and you’ll instantly get the feeling you’ve been transported into an old friend’s kitchen. Rustic linens adorn tables along with fresh succulents, while the windowed front allows light to bounce around the space, drawing attention to the enviable kitchen worktops, the cake displays on the sideboard and the wide selection of teas up on the shelves. 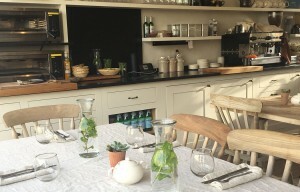 It’s a room ripped right out of a John Lewis catalogue – and boy, does this lovely little family-run restaurant deserve it. Since opening in October, the team behind Chard (which comprises Sullivan sisters Benny and Mae, plus Mae’s partner Ciaran) have been settling in smoothly, offering lunch five days a week alongside their coveted Saturday dinner menu. 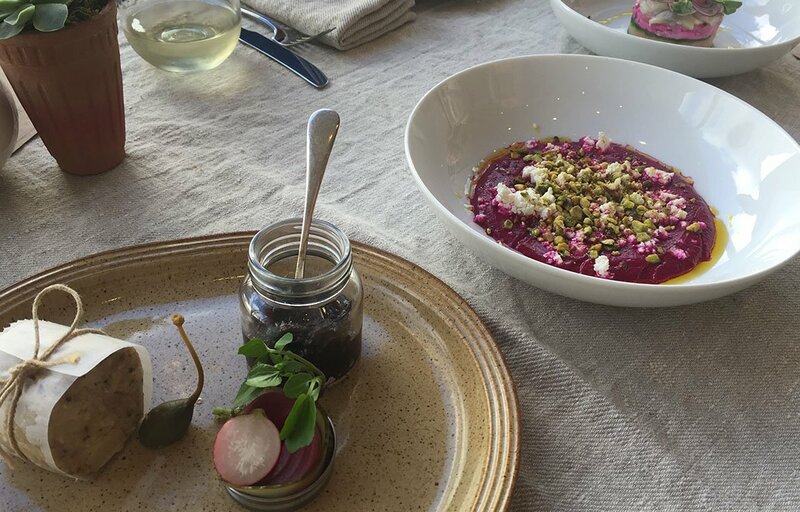 While a first for the trio, they’ve been dedicated to getting their cafe experience just right, and do so with effortless aplomb, providing a small but delightful menu fit for sharing (think tapenade, dips, hummus and some of the best chutneys you’ll find in town). Their plates are both sizable and reasonably priced, and are mainly vegetarian-friendly and gluten-free, catering to dietary requirements without alienating their regulars by compromising on flavour. It’s the kind of place you can take your mum after a Saturday afternoon of shopping, or have a laugh over wine with a group of friends (who knows – Mae and Ciaran may even join in). Your nan will love it, as will your hipster coffee snob mates, with grinds supplied by local roasters Pharmacie and the bevvies made expertly by Ciaran. Dad will be impressed with a generous wadge of one of Benny’s cakes – particularly if you choose the phenomenal chocolate fudge – there truly is something for everyone here. A state of temporary flux after they left Cafe Rust in London Road earlier this year meant Chard’s future was momentarily left in question. But these lucky cats have proven they could landed firmly on their feet by securing their permanent home at Igigi – a delight for all. Lunch at Igigi is served from 12pm-3pm Tuesday to Saturday. Chard is at 31 Western Rd, Hove, BN3 1AF.